Wonderful studios, clean and tidy. Good sized rooms and contain everything you need for your holiday. Has self catering facilities but it is cheaper to eat out at the numerous local bars and restaurants. I would happily recommend these studios and considering returning next year. The owners are lovely people, facilities at Alamis are excellent too. P.S Whatever you want to ask for information , just ask there! I have visited a few minutes this page. We have booked to go back to Athinas in June and September next year and can't wait. The rooms are basic but adequate and have the option of Air Conditioning at a small charge if things get realy warm. We had this in June last year but didn't need it in September. The rooms are clean and are cleaned at least 3 times per week. The apartments are realy quiet with shaded balconies in the afternoon to relax on before your evening adventures. They are perfectly situated with all the restruants and bars within a 10 minute walk. Breakfast opposite at the Planos with Denis and Egla and then fall on the beach about a minute's walk away. 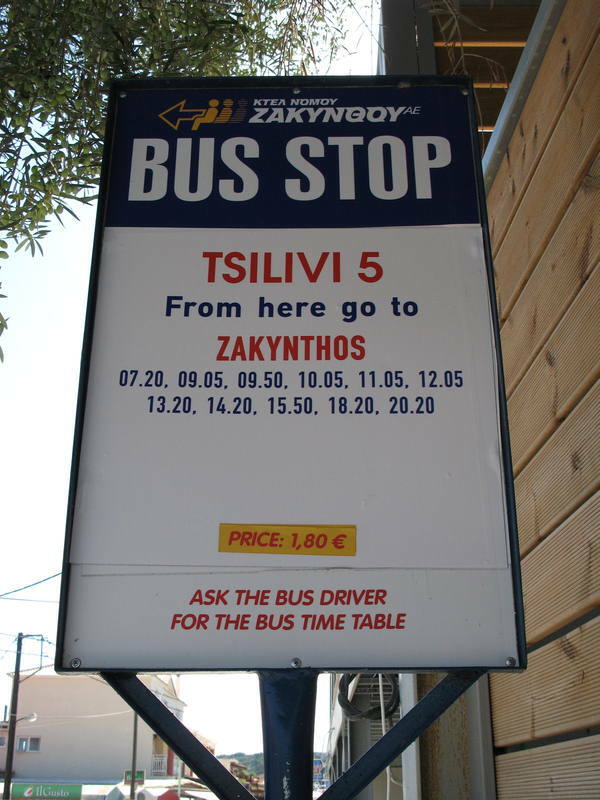 We stayed at the Athina Studios in Tsilivi late May to Early June 2008. They are located in the Planos area, opposite Alamis apartments and you have use of the Alamis pool, although we didn't bother with this as the beds there are fairly close together and the ones on the right-hand side of the pool (looking towards the bar) lose the sun in the afternoon. We went down to a snack bar on the beach called Cozy where the sunbeds had at leat 2 yards space all around. Cost �6 for 2 beds & 1 umbrella per day. There's a fruit shop right outside the studios (belonging to the owners) and a small supermarket across the street. It's less than a 5 minute stroll from the studios to the sea. It's a single block with 12 studios over 3 floors, it used to be 8 rooms over 2 floors. The accommodation is basic, with a small kitchen area with a 2 ring (one large, one small) electric hob. There's a kettle, fridge and plates, dishes, mugs, glasses & cutlery. We didn't do any catering at all in the room but some people may find it not very well equipped if they do want to self-cater. The bathroom was clean, with lots of hot water. The shower head wasn't fixed to the wall so you had to shower yourself, put the shower head down, then lather, then pick up the shower head again. We didn't find this to be a problem. The bedroom was fairly small with 2 single beds, one 2-drawer bedside cabinet between, a built in wardrobe, dressing table with 2 drawers, a stool and chair. Although we don't take a lot of clothes, we felt that the 4 small drawers were insufficient for swimwear, undies, shorts, T-shirts etc. The balcony had a small table and 2 chairs. The rooms were cleaned every other day and linen/towels changed about twice a week. We were happy with the cleanliness of the rooms throughout our stay. The wardrobe had a safety deposit box fixed inside, keys obtainable from the fruit shop outside at a cost of �30 for 2 weeks. We didn't get our deposit back so maye they have changed their policy or we were just unlucky. The rooms get morning sun on the balcony, which means they are nice and cool in the afternoon. The balconies are not overlooked at all apart from a small track about 100 metres away leading to some bee hives, we saw someone on this path only a couple of times during our stay. Although Athina Studios are not in the main centre of Tsilivi, there are lots of bars, shops and restaurants very close by and they were in a perfect position for us. We found the studios to be quiet at night with very little noise from neighbouring bars. The centre of Tsilivi was about a 15 minute walk (for us). On departure day, we left our cases in the reception of the Alamis apartments across the road. Checkout time was <?xml:namespace prefix = st1 ns = "urn:schemas-microsoft-com:office:smarttags" />midday. It was our 3rd stay in this accommodation and we would most certainly choose to stay there again. All the apartments face towards the sea but because of a hill, the sea is only visible slightly from one of the upstairs apartments. All the apartments have balconies with the ground floor ones being slightly bigger. You get the sun on the balconies in the morning and then in the evening they are in the shade which is nice. You can always have the front door open to get the sun into the apartment but be careful of the wind blowing through in case the door slams. There should be a little hook behind the door so that you can secure it open but this is <?xml:namespace prefix = st1 ns = "urn:schemas-microsoft-com:office:smarttags" />Greece after all, and it may have fallen off. Don't sleep with the balcony doors open, especially on the ground floor. Apart from the security aspect, the local cats will wander in. Upstairs and downstairs, the mozzies and midges will get you. There is air conditioning which you pay for on arrival and also there are strong boxes in the rooms which you can also use. A deposit is charged which is returnable. There are a few small restaurants nearby, the best of which is the Roof Garden at the Planos Beach apartments almost opposite. 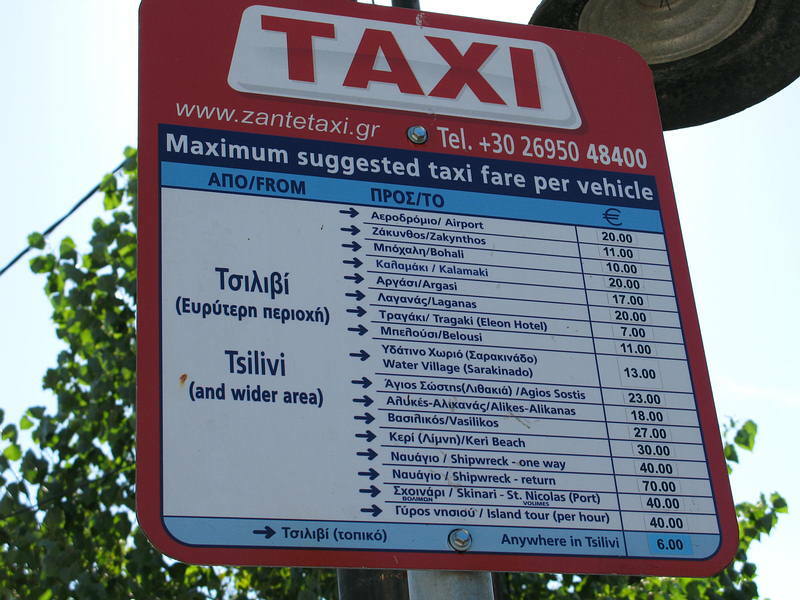 The main town is at the top of the road with the bus stop and taxi rank by the Mediterranee Hotel. We have stayed in many different apartments in Tsilivi in the last fifteen years but these are the best for us. Staying here in two weeks. What are the owners like? Is it in a good location and clean? What about the transfer time from the airport and will i need insect repellent? Athina Studios are quite basic but very clean and perfectly situated for the beach and the main resort road. The owners gave us a half bottle of wine as a welcome present - nice touch. The balconies are beautifully shaded in the afternoon, which was great for a nice cool drink after a day in the sun. Those of you who are worried about no pool, you can use the pool and facilities at the Alamis which is literally across the road!! We were closer to this pool than we have been in some hotels. athina studios are basic but very comfortable. There is nothing that we could complain about. The studios are furnished nicely and it's in an ideal spot - close to the beach and in walking distance from the main bar stretch! Basic studios but very conveniently situated - between beach and Sunset Boulevard bar! cleaned regularly with fresh linen. Also we had (kind of!) a sea view!!!!!!!!!!!!!! I have just returned from 2 weeks in Tsilivi staying at Athina Studios. It was brilliant. The only drawback is you cannot fly with Olympic from Bristol. We found the athina studio's very relaxing, having the top floor helped a lot as you could see the sea, and have a drink or two.....on the balcony. Cleanliness was excellant and maids were very helpful. Sharing the pool with alamis was great and did not bother us as we always got a sunbed. Pool farely big,and side snack bar had excellant food, and drink, provided by an aussie called Nick who was very helpful, and gave out many free drinks, and so we always went back. An excellant bar to go to is Sunset boullivard, as owners costas, and daniella provided a warm welcome to every one. One thing not to miss is the trip around the island by boat, excellant scenary 1 not to be missed!!!!!!!!!! we stayed at the athina apartments which are situated opposite the alamis. the accommodation was not too bad but very spa**e with the crockery.i.e. 2 mugs 3 plates no dishes 1 spoon a very rusty filthy can opener. our room was on the ground floor with a little veranda.on the veranda was a portable clothes dryer. very handy ,as long as the owner does not light a bonfire during the morning. i had to wash the clothes out again, they smelt of burning leaves. the cleaning could have been better and more often maybe. having said all this we had a brilliant holiday (the first holiday for 16 years). we could use the pool and sunbeds across at the alamis apartments they also do snacks during the day. it was such a laid back relaxing place it would suit any age group. we would like to go back again next year but not those apartments. best wishes to you all. Stayed here twice. Make sure you are upstairs though, they are more modern, so try and specify when you book. Downstairs in not bad though. Enjoy fruit from their little mini-market next to the road, it is the freshest. Try a breakfast at Georgia II (next to Contessina Hotel) at the top of the road, excellent English with propper sausages - not their grilled hot dogs.